Got 500 WiiWare or DSiWare Points burning a hole in your digital wallet? Perhaps one of this week's Nintendo Download releases will help you put out that fire. Adventure on LOST ISLAND - Hidden Object Game (Ateam Inc., 500 Points) — Another find-fest brought to you by Ateam, the folks behind the less than impressive "Aha! I Found it!" Hidden Object Game and the better "Aha! I Got It!" Escape Game. We'll have someone search this one through. Castle Conqueror (CIRCLE Entertainment, 500 Points) — Just as the tin says, you'll be storming castles and presumably punching things in this single-player, casual-oriented, real-time strategy game. Crazy Pinball (dtp entertainment, 500 Points) — Pinball that is allegedly crazy. We found that title somewhat misleading in our Crazy Pinball review, as it turned out to be a pretty average, somewhat dull flipper fest. myNotebook: Tan (Nnooo, 500 Points) — The final color of this gen of myNotebook. As always, be sure to read our myNotebook Carbon, Pearl and Tan review repeatedly before purchase. The Nintendo DSiWare™ and WiiWare™ services offer a wide variety of downloadable games to satisfy players of all kinds, and with this week's new additions, the selection just keeps on growing. For Nintendo DSi™ users, Castle Conqueror delivers real-time strategy excitement for casual players, while Crazy Pinball puts arcade-style thrills in the palm of your hand. Meanwhile, Adventure on LOST ISLAND - Hidden Object Game lets Wii™ owners put their searching skills to the test with an adventurous twist. Description: Castle Conqueror is a real-time strategy game for casual gamers. You play as a commander who must resist the empire and save the lives of the people. Lead your soldiers into battle, seize the enemy's castle and gain victories until you destroy the empire on the mainland. The rules are simple. Use the stylus on the touch screen to select the player's castle and send your army to storm the enemy's castle in real time. Capture the castle and destroy your enemies to earn gold that can be used to upgrade your commander's abilities and to buy items that will help you win more battles. Select commanders and different cards to upgrade your army or castle. If you've managed to occupy the enemy's castle by the end of a battle, you win the game! Description: Find fun pinball action just like at the arcade. Five fantastic tables and plenty of themes ensure awesome variety. Go hunting for points with the Safari Flipper, or zoom from one goal to the next with the incredible Deep Sea Flipper. Set records that will blow your friends away. Crazy Pinball is the ultimate portable pinball experience. Description: myNotebook allows you to take notes wherever you are. Just pop open your Nintendo DSi™ system and jot down your thoughts. Make a list and cross it off, or even play your favorite pen-and-paper games (games not included). You can personalize your notebook by drawing on the cover or by changing the paper type with 24 unlockable squared and lined paper styles. Use the pen or pencil to make notes or doodles and then erase the bits you don't like. With five ink colors, you'll always be able to make your notes and doodles look stylish. myNotebook also includes 128 pages to write on, plus the ability to export your pages to your Nintendo DSi Photo Album. Description: Discover hidden-object fun for kids and adults. Quickly find items in every stage to complete this adventure. Work together or compete in each stage to find items and help the game's hero find a way home. From seashells to sparkling jewels, do your best to find all of the hidden objects as fast as you can. 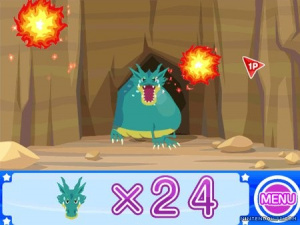 During this adventure you will also confront ghosts and a dragon in action stages. Each stage can be played by up to four players for great gaming fun. No VC again? Come on! The final mynotebook costs 5000 points, it must be the iphone of digital notebooks. What is the deal with the NA releases nowadays. Every once in awhile we get something nice, but most of the time it's just garbage. Cheer up, guys! At least we've already got two different versions of Altered Beast on there! I think Wiiware might be going the way of the VC. Nintendo seems to have more for the DSiware--is that because these titles sell more or because DSiware is newer than Wiiware? Or because DSiware is cheaper to produce? If it weren't for And Yet It Moves and Toribash, this would be a summer wasteland for Wiiware. We're never gonna get Bloodlines, are we? I enjoyed "Aha! I Got It! ", and I would love a similair adventure or escape game from Ateam. But I certainly won't get Adventure on Lost Island: Hidden Object Game. But it will be a big hit in Holland. I think their are better WiiWare HOG too. Where is the VC you ask? At most, America gets one VC game every two weeks. You got Samurai Shodown III last week, so for this week... work it out for yourself. It's Mario Mario's birthday... And no really awesome games to celebrate it. Oh well. XD No huge biggie. Huge upset. I was expecting more for Marios 25th. Sad. Just when you thought it couldn't get any worse, it does. This has to be one of the lamest updates I've seen in a while. At least Japan still has quite a few good weeks recently. No Virtual Console again!!! Wiiware games are so for little kids that does't have money of their own!!! Nintendo should give VC more importance than Wiiware cause everybody would like to buy for example Yoshis Island better than anything in Wiiware. Nintendo, the real money is on VC and you don't have to pay any publisher cause games are already there!!! Another great week of "Where's Shantae?" This Castle Conquerer game interests me. If it's any good though, it won't be coming to Europe. I do feel sorry for you Americans at the moment. Week after week is full of trashy shovelware or mediocre games. I didn't win "And Yet It Moves" from you guys, so you get it 10-fold! Nintendo doesn't hate money. They just don't have anything right now. And, apparenty, WiiWare and DSiWare is where the money is. Basically, WW and DSiW are easier to provide. I guess you can't have good games all week, right? Ohhh the calamity. It's a shame, I really want my N64 games to finally make it to VC, but I also want the controls fixed, glover and gex are good examples of that. You all do realize the VC isn't very profitable, right? ugh. wiiware is a miserable failure. dsiware isnt doing much better, but it has WAY more good games on it, and its even newer then wiiware! but then again, dsiware is a total ripoff.... for 500 nintendo points on the wii, we can get any full length nes game. (smb3 anyone?) yet on the dsiware service, 500 points will only get us pictobits or pop island (not that these games are bad, jus' sayin) or something. see the problem? Yucko. Sometimes I wonder why I even bother keeping up with these updates. Ugh still no VC release? Bland week. Nothing doing really until some more of that awesome budjet DSiW from Japan comes out. Super Hero Ogre, Ninja Karakuri Den 2, and 10 Second run are what I want...someday, hopefully, possibly I'll get them. The VC isn't very profitable? then why would a big corporation like Nintendo keep a service like the VC available for years? It's so painful waiting for VC releases because there are literally hundreds of games to put up still. Even if 3-4 VC games were put up every week it would still take at least a couple years to put everything up! I know they are trying to spread out releases to "maximize" their profits, but that's still bs seeing that we have to wait for a game to release that's already been released 10+ years ago! We've only had 22 releases on the VC this year for NA, the best being: Rondo of Blood, Fatal Fury Special, Final Fantasy II, Final Fight 3, Ironclad, Kirby's Super Star, Mario Tennis, Mega man 4, Ogre Battle 64, Princess Tomato in Salad KIngdom, Samurai Shodown III, Shadow of the Ninja, Shadow Dancer, Sonic and Knuckles, Ufouria, Wild Guns. Now there are a lot of great games that have come out this year, but we used to get 22 games in a little over a months time when the VC first came out. That's a huge difference compared to now with that one month stretched out to 9! Other than Acro 2 and Fatal Fury 3, I really doubt we'll see any more VC releases this year. I really hope I'm wrong though, and it sounds like i'm complaining too much about this, but when we've been patiently waiting for 5 years through this entire tedious process for the games we want to be released, we have a right to complain and be pissed. Lack of releases like this is why I went and bought a top loading NES and started filling out my collection of NES, SNES, and N64 titles on my own in cart form so I don't have to wait for this to drop from Nintendo. I don't have gobs of extra money to spend though, and many classic games don't come cheap ($50-$100) so that's really my only reason to look forward to VC: future games like Mr. Gimmick! and games on other consoles I don't own like Bloodlines and Rocket Knight Adventures on the Genesis (many japanese only releases are better off fan-translated and with a usb SNES controller). With the VC the main issue comes down to copyright holders and companies no longer around. Period. Sad? Yes. But it's the truth and it's not changing. One thing I agree with you: They made it seem back when it was first announced that all your beloved games of old would see the light of day again at some point, BUT it's our fault we were so gullible. Right now, I'd be content if LucasArts releases Shadows of the Empire or Rogue Squadron. another crap update on a mediocre system by a once great company.. though i still like Nintendo. i am looking forward to the 3DS and their next home console.. The people in charge of Nintendo's update probably forgot to release any good games today because they are too busy getting ready to play teh Haloz. ...shovelware...so what is shovelware when it is digital download only? You can't tell me the VC isn't profitable. If Capcom can release a full-on disc game with like 20-30 Mega Man games for $30 and have it be profitable, then there's no way a $5 NES Mega Man game or an $8 SNES Mega Man game wouldn't be profitable. I've been waiting for Mega Man V since I first got my Wii back in 2007, and I'm still waiting. Mega Man V was the only Mega Man cart I had back as a kid (we were pretty poor and only got a couple games per year). Granted, I still have my NES, but it's a pain to get it to boot properly and the controller we have is iffy at best. They need to release this to the VC stat, because there's no good reason not to. Come on Nintendo, get with it already. Is that a GOOD game for once!? Holy cra-wait, no. No it isn't, never mind. But really, nothing for me again. 39 - Come on, we'll all see some more VC games later this year. I'm expecting Europe will get one this week. 46 - I have almost all the VC games I want of those that are available. The few left are those that I would like to play again but not really worth me downloading; Mystical Ninja, Cybernator and maybe some others I can't recall right now. What made me initially decide to go with the Wii over the PS3 and the 360 was the Virtual Console feature. For the first few years, things were good. Lots of games I used to play. MANY points bought and spent. Then, all of a sudden, it's 2010, and VC updates have TANKED in both quantity and quality. And it's making me second-think my purchasing decision. I have been patiently waiting for many, many releases from all the old systems (a few examples: Little Nemo the Dream Master, Snake Rattle and Roll, Maniac Mansion for the NES), and I don't understand how more games have not already been de-coded. And why is there no classic Game Boy featured yet? I may have to see if Castle Conqueror is any good ... back to homework and Sin & Punishment!!! Sadness reigns supreme when I see no VC. #52 - Little Nemo is a licensed game. Snake, Rattle & Roll is a Rare game. Maniac Mansion is okay I think. And they should release Game Boy games onto the VC - use the Super Game Boy emulator and modify it to run GBC games in full color too. Stop tagging these posts VC if there are no VC games. This is how you treat Mario on his birthday? BAH! I just noticed JayArr's avatar(comment #21) and it sums up this week's update perfectly. nintendo please do me a favor. when a new download service comes out learn how to not switch all your focus to that one service. just like when wiiware first came out they neglected the VC, and now with dsiware nintendo is neglecting both wiiware/VC services....learn how to manage all your downloadable services at once nintendo!!!! It used to be quantity not quality, now its quality nor quantity. Seriously though, I might be interested in the new MyNotebook. Another stupid week and still no Worms. Wow, I totally forgot about it being Nintendo Dowload day. Looks like I didn't miss anything. NOA, just give these people their VC titles so they can shut their mouths already. Think about it this way, at any one time theres only a limited amount of VC games that has been submitted and rated from other companies for Nintendo to use. Even Nintendo themselves has to submit and get their own games rated. Lets say that Nintendo decided to throw all the games they had currently available to us but that we had to wait whatever it takes to get more games rated. Presumably this takes weeks/months. Nintendo already did give America most of the games they have left available to them and now you're in the period of waiting for more games to get rated. If you got Ufouria and Samurai Shodown III back in July, you still wouldn't have gotten anything else until now. So that would be like about seven consecutive weeks without a VC game. I do believe thats what would happen. To contribute to the conversation, I believe that it's very costly to get a game rated. It's a big risk when a company isn't sure how well a game will sell, which is basically always. There are exceptions, but to debate these would start something that would never end. I could rate all those games in a single day. @zkaplan: It's $800 a piece for downloadable games. That wouldn't be so bad if they could guarantee a quick return on the investment. I maintain that the reason releases have dropped is that Nintendo used to hold off releases and never tell the publishers when they'd be up, leaving that $800 investment (plus minimal coding costs) sitting and earning nothing for months at a time. They gave up trying to submit more games, and Nintendo hasn't made very much effort to convince them otherwise. #74: That means only 160 gamers would have to buy a 500-point title. I would think that would be no problem. It gets worse and worse every week. No wonder why I've lost hope in seeing any decent releases anymore. Still don't know why I check the press release every week when I know we're gonna get crap nowadays. No VC and another pointless, crappy Wiiware release. So what else is new?